sport our winter wheels. Some of which look decidedly sadder than others. So what else did November and December bring to us here at UKP. Well possibly the most expensive B3 not sell on Ebay. £24k and still didn't reach it's reserve!! We have also recently reached 5,000 members, which is a massive milestone in UKP history. We are currently adding between 4 and 10 new members per day, which is an impressive rate by anyone’s standard. I have also managed to get my car appear in the latest issue of Golf+. I have ordered a copy but it still hasn’t arrived. Damn snow! My car is not the only Passat to appear in the glossy pages of our favourite VW mags. Big Pete also got a full feature in Fast car. Finally we are starting to get through to the masses. Could 2011 see more of the same? Lets hope so! The voting for UKP car of the year has now started. All the car of the months have been put against each other, to see who will be crowned, UKP car of 2011. With a far spread of B marks this year, there is a flavour for all tastes. To vote simply click on here and make your voice heard. I am sure you are all busy preparing for the festive season, so I will bid you farewell for now, and wish you a very Merry Christmas and a Happy New Year. In this moths newsletter I have decided to pull the car of the month forward so the current month is featured. Therefore this month we have two COTM. November saw Tuneside Ben take the title. With the BRM hints of styling and power to match the race nature, this is one tidy wagon. You can read his full build thread so far by clicking on the picture to the right. Ben’s is easy to spot with the bright orange wheels. The December title went to LucasG60. This is a full on show car, but it ain’t no trailer queen. Bentley’s, Bags, RS6 Leather all in a jet black wagon. Could you want anymore from your car? I am sure there is more to come from this member. Again his build thread can be found by clicking on the picture to the right. If your car insurance is due within the next 30 days, please don't forget to give our forum sponsors, Chris Knott Insurance, a call. In 2009, the average recorded saving for their new customers was 12.5% off the BEST quote they'd had! Please phone them on 0800 917 2274 or 01424 200477 and quote the club name and/or reference number. For further details, please refer to Tim's thread in the Insurance Section. (He doesn't do the quotes by the way, there is a specialist team for this!). We now have a fully operational shop. You can now show your support of the B platform VAG, by wearing a t-shirt or a hoody. 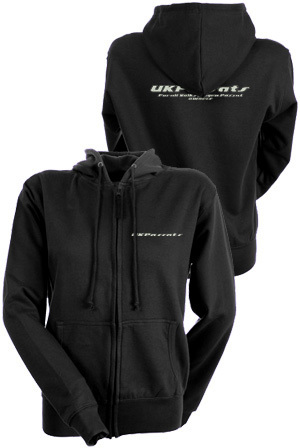 As said before, UKP is a non profit organisation, and is reliant totally on donations, and the sale of apparel. So come on show your support, and wear yours with pride!